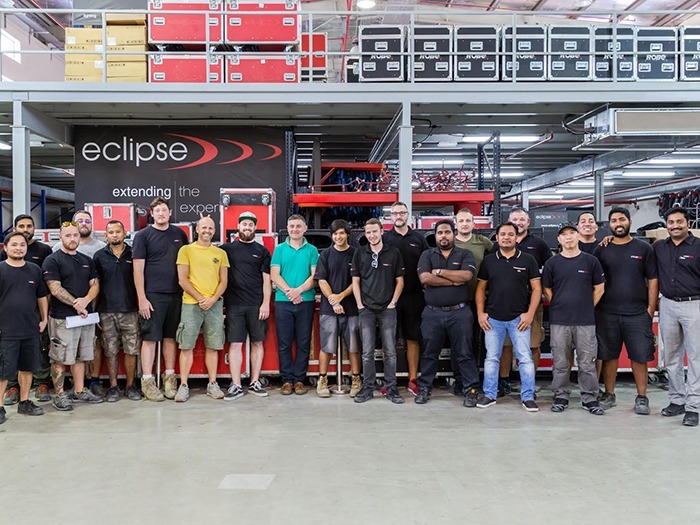 NAPIT’s City & Guilds approved Temporary Electrical Systems Programme (NA 7909) was taken overseas to Dubai to train and qualify staff from audio-visual and technical event production company the Eclipse Group. James Eade, a consultant Charted Engineer, works alongside NAPIT to design and deliver the programme and was invited to Dubai to train more than 20 candidates at the Eclipse Headquarters. The Eclipse Group ensure that their crew are up-to-date with current practices and are aware of UK legislation. This ensures that all tours and productions heading for the United Arab Emirates follow the best technical and safety standards. Electrical safety within the events and entertainment industry is high on the agenda in the UK. Ensuring that it is managed effectively due to the short timescales of most events, it is crucial that there is a good understanding of distribution and protection. To find out more about the training programme please call NAPIT on 0345 543 0330. NAPIT are currently the only organisation who actively support the events and entertainment industry by offering a competency scheme. The BS 7909 Temporary Electrical systems membership provides proof of competence in the events industry to show that the person working on the electrical systems is assessed and able to act as a Senior Person Responsible under BS 7909. On successful completion of the City & Guilds training programme, you can receive a year’s FREE NAPIT Temporary Electrical Systems membership.